The surgery, founded in 1913 by an Irishman Dr Albert Frost, was originally housed in the building across the road from the current surgery at 63 Duke Street. In fact, Dr Frost was working in Northam from 1909, but at a different location. He built the surgery on Duke Street as his home in 1912 and, as was often custom in the day, the clinic was run from there. He was joined by Dr Kenneth Aberdeen in 1919, and Dr George Landon, for just a year in 1920-21. Dr Frost, himself left the surgery in 1921. Dr Aberdeen had served in WW1, including at Gallipoli. He obtained his Fellowship to the Royal Australian College of Surgeons in 1930, thereby serving as a 'GP Surgeon'. He introduced mass vaccinations in Northam. He retired in 1949, at age 60 and subsequently died at 63 from bowel cancer. Dr Len Chester took over from Dr Aberdeen and worked in the surgery from 1940 until 1963. He had a great interest in race horses and was well-known in the racing fraternity. He was joined by Drs Frank Holland and Tony Walsh (whom some current patients still remember) in the mid 1950's. Dr Walsh had been working in Collie prior to his move to Northam. He had seven children including Michael, who later became an Ophthalmologist. Frank Holland had served in the navy during WW2. He was known for his obstetric work. He ultimately retired in 1980 from Northam, although continued doing locum work until he was 78 and subsequently died in 2000 in the nursing home in Narrogin. Tony Walsh retired in 1987, and he ultimately died in Nannup. 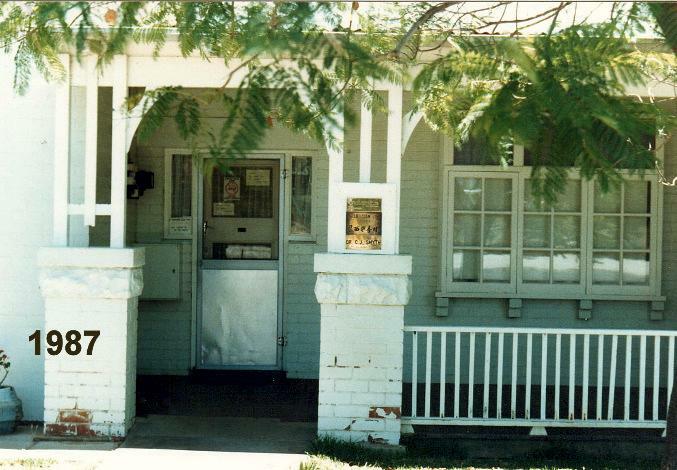 Dr Geoff Reynolds (who did NOT live at the Duke Street address, but started a new tradition moving into an old dairy farm, now in Parker Road, Northam, which was subsequently inhabited by two other Grey Street Doctor families) commenced practice in 1968. By this time, the practice had moved to its current position at 16 Grey Street. Prior to this the building had been owned by a Chiropractor. Dr Reynold's wife was a well-known piano teacher. He was at the surgery until 1992, at which time he retired. 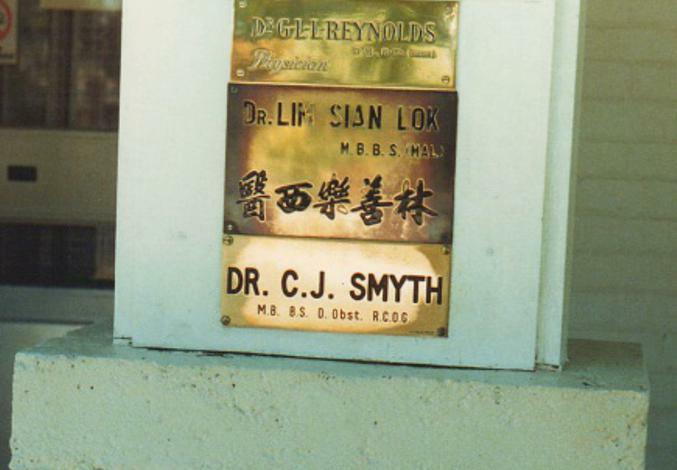 In 1980, Dr Sian Lok Lim, and Dr Colin Smyth joined the practice - at the time Dr Holland retired. Dr Smyth had been living in Vanuatu before coming to Northam with his young family, and they have subsequently brought up three children in Northam. Dr Smyth lived at the Duke Street address, the last Doctor to do so. He and his wife have been heavily involved in community affairs, being main instigators in the development and subsequent building and running of the Bridgeley Community Centre which is part of Bridgeley Church of Christ. 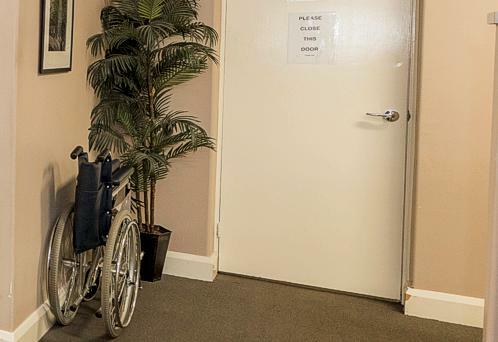 As medicine changed in the Wheatbelt, and indeed Northam, Dr Smyth was left the only man standing still to be offering an Obstetric service in the town and surrounding areas. Dr Derek Wilson took over from Dr Tony Walsh in 1986 and worked at the surgery until 1993. He subsequently underwent further training and currently works in Obstetrics and Gynaecology in Bunbury. Dr Lim and Dr Wilson both left around the same time and Dr Shane Wignell and Drs Richard and Stephanie Spencer commenced practice in early 1994. Dr Wignell left to take up an interest in drug rehabilitation in 1998. Dr Roslyn Mellick worked at the surgery for several years, starting as a GP Registrar, until leaving for family reasons. Dr Richard Spencer was able to offer a surgical and orthopaedic trauma and general surgical service to the town, until again the tide of medicine changed and the local GP Anaesthetists ceased work. This left the town without an emergency surgical service although elective lists were still performed for some years after that. Dr Stephanie Spencer brought with her skills in women's health, and ultimately did some further training in palliative care and cancer care, which remain areas of special interest. Dr Julienne Roe (or 'young Julienne' as she is still sometimes referred to) was a medical student assigned to the practice, and ultimately joined the team in 2003 after she married a local farmer. Dr Marie Fox, who was a born-and-bred 'Northamite', and who had had her own practice previously, joined the surgery for part-time work in 2013. She has a great interest in the Rural Clinical School, which houses 4 medical students for a year at a time, as well as remote Aboriginal work, which involves her from time-to-time. With the retirement of Dr Colin Smyth at the end of June 2018, Dr Hafees Saleem has now joined the Grey Street Surgery. He has many years of experience in country general practice and he will be a great addition to the team at Grey Street and he will also be doing some work at Northam Hospital in the Emergency Department. 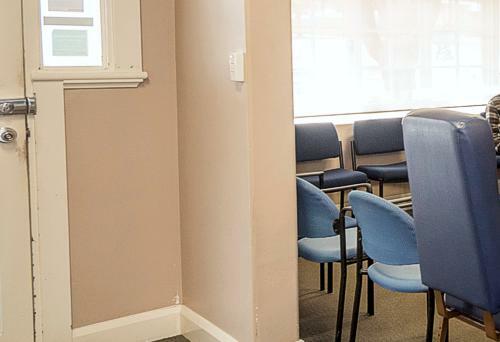 In this tide of rapidly changing medicine, and in particular rural medical services, the Grey Street Surgery offers an anchor, where reliability and stability are at the forefront of our focus. The five current GP's have a great wealth of experience and knowledge in the rural landscape of Western Australia and their ongoing dedication to the town and townspeople is evident in the service they provide. Serving our community since 1913.